The last few weeks I have been writing about the classes we undertook sponsored by the Maryland Department of Emergency Management(MEMA): Neighbors Helping Neighbors. (Previous posts:Sustainable & Resilient Communities, Disaster Readiness) Our final class was this past week and I am really thrilled that I took the time to be involved. Since we moved to Maryland (August 2003) most of our natural disasters have only caused service interruptions of a week or less. If you remember the date, Hurricane Isabel hit us 2 weeks after we moved in to our nice little row home just across the street from waterfront. We quickly became educated in the need for preparing for these eventualities. Maybe it is 12 years later but the class was our next step in being ready and further educating us on areas where we may be weak. The class information was well prepared and very well presented for anyone who is interested in not only being prepared in the event of an emergency or disaster, but those concerned about others within a community. The overall takeaway from the class was getting oneself ready for eventual disasters or emergencies that may come along. Living on the east coast, our potential for hurricanes and flooding put us in a category of not if but when they will occur. Although important to have a good mental attitude for any situation, but having a few supplies carefully crafted and stored is key to being in a position to survive AND to help others that are in need during a crisis. FEMA & MEMA both recommend 3-7 days of necessary supplies, while our instructors think a 10 day supply is more adequate. I tend to lean in the more category, being somewhere between 10 and 30 days. Food-This is a gray area as to the amount needed, but having a good stock of foods on hand will be important to any survival plan. Be sure that it is shelf stable, long term storage. Don’t depend on fresh or frozen since during a heavy disaster there will most likely be no way to store these foods. If storing up canned foods (store bought) be sure to pack a can opener! Enter the homesteader: someone who grows and maintains a constant stream of food through gardening, aquaponics, or small animal husbandry. (rabbits, chickens, etc) Although as a suburban homesteader, we have home canned and dehydrated foods, we also have the ability with our greenhouse and aquaponics to refresh our food supply. Radio & flashlight-Needless to say these need to be battery operated and you will not be able to just plug and play in a grid down emergency. This could be supplemented with the use of portable solar power. Having a rechargeable battery pack through the use of solar panels makes life a little easier in the worst of disasters. I personally like Goal Zero products. Basic first aid-Bandages, compresses, eye wash, topical creams, scissors, tweezers, etc. During a disaster there is always the potential for some minor medical needs. Along with first aid, do you have anyone in your care that takes prescription medications on a regular basis? Having at least an extra month of those meds on hand could make the difference in that person surviving. Extra clothes, blankets, and compact emergency tools-I am talking an emergency supply bag, many may call it a bug-out bag, but no matter what you call it, it is a part of necessary preparedness. If you are not able to maintain yourself and family, how are you going to be a benefit to those in need in your community? For more in depth information I invite you to visit one of my favorite websites. A. H. Trimble , instructor, teacher, author in the art of being prepared for any emergency situation. I did a post yesterday on Sustainable & Resilient Communities, then thought that I should have started with a post talking about Disaster Readiness first. 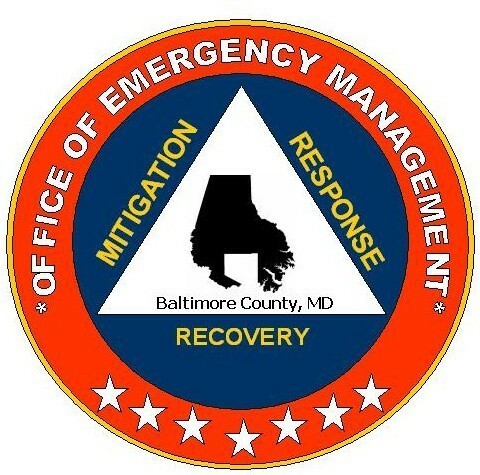 The class we are taking, Neighbors Helping Neighbors-Disaster Readiness, sponsored by Baltimore County and Homeland Security, is a step toward preparing one’s family for the eventual emergency situation. Eventual meaning, not if, but when an emergency occurs. So let’s back up and talk about disasters that can occur. Manmade-train or plane crashes, hazardous material leaks, vehicle accidents, etc. Depending on the area of the world certain natural disasters are more prevalent. 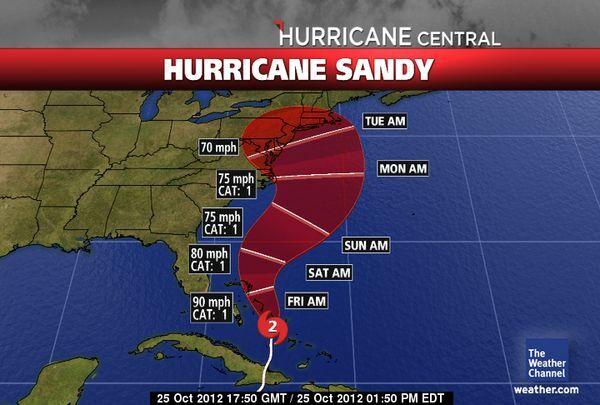 Here on the east coast of the United States our primary concerns lean toward hurricanes and flooding. These are the two predominant forms of natural disasters for our area. Yes we do get a few tornadoes and we are on a major fault line for earthquakes, but these occur much less often. The U.S. west coast would be more concerned with earthquakes, while the Midwest would be watching for tornadoes. Excessive heat or cold could be a natural disaster. Lighting strikes in excessive heat make for huge natural disasters on the west coast with the spreading wild fires. Of course some of these could be considered man-made as well if started by a discarded lit cigarette. Man-made disasters can be just as devastating as any natural disaster and can occur anywhere and anytime. Here in Baltimore, just this past year was a major train collision with a dump truck in a heavily populated area. 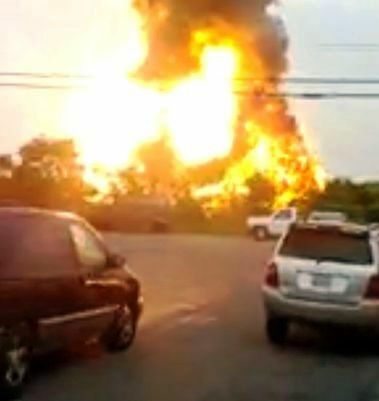 The explosion was phenomenal and could be felt miles away. From my house I could see the flames rising above the horizon. After the initial impact came the threat of an area evacuation because of the potential for a hazardous material spill from a train car. Fortunately there was no spill and no evacuation had to occur. But what if an evacuation had to occur and we would have to leave our homes for a few days. Would it not be easier to leave in an emergency IF there was already a plan in place and a bag packed for just such an emergency? That is the goal of emergency readiness! We never know when one of these disasters may occur, but taking steps ahead of time to prepare for the potentiality of a disaster that is predominant to the area just makes sense. No I am not a “doomsdayer” or “prepper” per se, but being prepared for common to our area emergencies just shows that I care enough about my family, friends, and neighbors to be a help and not a hindrance during troubling times. I would advocate for every family to take some time to educate themselves about disaster readiness. Take stock of the area in which you live. Do a risk assessment of potential disasters and prepare for eventuality, not just for yourself, but your family, and your community. Be sure to read Sustainable & Resilient Communities on this blog to see how to prepare a community for disaster readiness. I will be following up with other posts as we progress through the class.